CVT and automatic transmissions have done away with clutch pedals and they both use complex on-board sensors. However, there are many important differences to take into account when faced with the decision of choosing a CVT or automatic. This article explains the differences between the two. 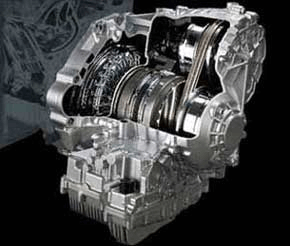 A CVT, or Continuously Variable Transmission, also known as a single-speed transmission, pulley transmission, and stepless transmission, is an automatic transmission system that can shift seamlessly through a continuous range of gear ratios. This gives CVT a level of flexibility as it allows the input shaft to keep a constant angular velocity. This critical feature allows cars equipped with CVT to run smoothly with a high level of fuel efficiency. In a CVT, the two gears are replaced by two pulleys connected by a belt. The first pulley is turned by the engine while the second pulley is turned by the transmission and the wheels. The size of the pulleys changes from small to large and to any size in between. By default, the engine’s pulley is small while the other is large. As the car accelerates, the engine’s pulley seamlessly reduces in size as the other pulley proportionally increases in size. In effect, the driver is actually changing gears all the time. Although there are several ways to change the size of the pulley, the basic operational principle never changes. A CVT allows the driver to get into the ideal rev range in any situation. This flexible rev range can usually deliver the most power, the most torque, or the most fuel efficiency. The engine holds on its optimum rev and the gears “shift” in proportion to pulley’s relative change in size. This results in better fuel efficiency and a quicker drive. An automatic transmission is a type of vehicle transmission that can automatically shift gear ratios while the vehicle is in motion, eliminating the need for the driver to shift gears manually. It is also known as auto, AT, and n-speed automatic (n represents the number of forward ratios). The hydraulic automatic transmission is widely used in automobiles. Heavy-duty machinery makes use of similar but larger types of hydraulic AT. Instead of a friction clutch, this system uses a torque converter which transfers power from the engine to the gears. It also performs gear changes by hydraulically locking and unlocking system planetary gears. These systems are characterized by a set of gear ranges, usually parking pawls that prevent the vehicle from moving backward and forward. Machines with limited or fixed engine speed (e.g. lawn mowers, forklifts) have a torque converter only for variable gearing. The most apparent benefit of an automatic transmission is the elimination of the clutch pedal and manual shifting. This allows a driver to operate the vehicle with greater ease and comfort. A notable downside to an AT system is the reduced mechanical efficiency between the engine and the drivetrain during power transfer. This is attributed to the fluid coupling that connects the engine and the gearbox. So what’s the difference between a CVT and an automatic transmission? A CVT is a type of automatic transmission system that uses a belt and other torque transmission systems that enable multiple gear ratios. An automatic transmission is a type of vehicle transmission system that is capable of automatic change gear ratios while the vehicle is in motion. CVTs can also be more fuel efficient as they can keep the engine well within its optimum operating range. 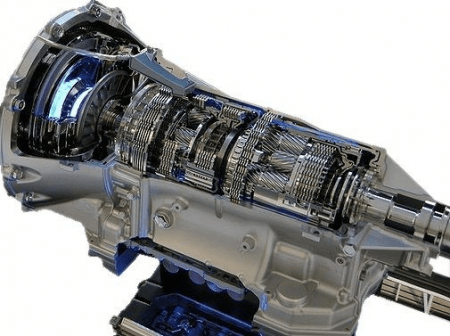 In comparison, a conventional automatic transmission is not as efficient due to its torque converter, which causes an inefficient connection between the drive wheels and the engine. Check out some quick facts about CVTs and automatic transmissions.